Want to add some personality to your office space to amuse yourself and others who stop by? 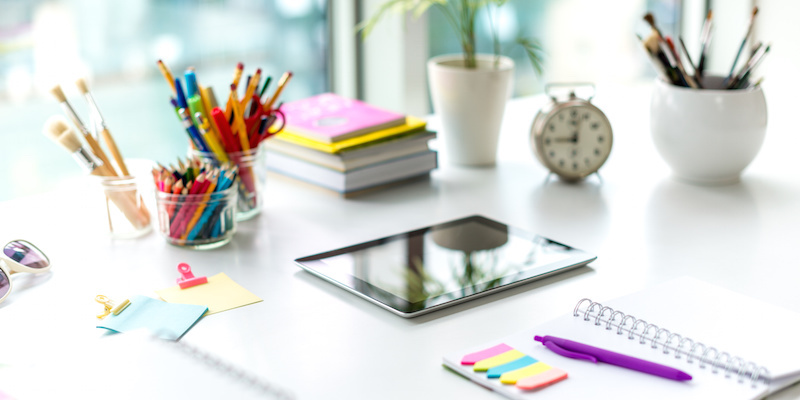 If you want to integrate some fun into your workday for yourself and your colleagues, here are some things you can put on your desk or keep nearby. Does the phrase “that was easy” pop into your brain after completing a task? If so, then having the Staples Easy Button nearby will let you experience the satisfaction of pressing the button each time you complete anything – tasks, projects, emails, etc. Want to start making decisions faster? Get an Executive Decision Maker Spinner. This little toy is better than flipping a coin – it gives you six options besides yes or no to use before you reply to a customer or colleague. Do you get lots of visitors throughout your workday? Get them to record their visit in your Cubicle Guest Book. Aside from creating fond memories of your day-to-day office experience, you’ll give your colleagues some amusement. No matter what you like, chances are there is a mini kit on Amazon or Barnes and Noble that you can find to express it. Mini kits cover Harry Potter, zen gardens, office voodoo dolls, and much more. And they’re small enough to display on your desk or keep organized in your top drawer. If you only have room for the basic office supplies on your desk, make them count by getting themed accessories. There’s something out there for everyone, from Hello Kitty calculators to otter tape dispensers. This one isn’t so much for fun as it is for self-preservation. Rearview monitor mirrors ensure that no one can sneak up on you and startle you by giving you a bird’s eye view of the world behind you. Give your brain a daily challenge by working on a Rubik’s cube at your desk. The home of the Rubik’s cube offers several versions besides the original (3×3) to choose from, including a simpler 2×2 version and a more complex 4×4. Enjoy bowling, golf, basketball, or shuffleboard? Brookstone offers desktop versions of these games that you can play by yourself or with a colleague. Do you enjoy playing games like Monopoly, Connect 4, Battleship, Memory, and Clue? Amazon sells dozens of these classic games in travel sizes, which will fit perfectly in or on your desk. Keep track of the date with crosswords, kittens, trivia, coloring pages, and much more with page a day calendars. These desktop-friendly calendars allow you to enjoy every day that passes with beautiful imagery, interesting text, and games. Want to skip over the usual and go straight to the interesting? Urban Outfitters has a unique book selection to browse through and add to your desk. These make for great conversation starters. Be warned that not all are safe for work. Why have one photo on your desk when you can have hundreds? Digital picture frames allow you to keep family, friends, pets, your favorite animals, your dream destinations, and other visual motivators on your desk with zero clutter. Look for the ones that use a SD card so you can have as many pictures as you like rotating in your frame. Not a fan of using online timers? Increase your productivity by using an hourglass instead. Choose an hourglass that will run for the length of time you want to focus on work, such as 15, 30, or 60 minutes. When the hourglass finishes, take a break, come back, flip it over, and start again. Always keep in mind that every action has an equal but opposite reaction with Newton’s Cradle. Or simply give colleagues something to play with as they walk by your desk. Let your inner geek shine through with geeky office supplies like the Doctor Who Adipose stress toy, Lego bookends, and R2D2 trash cans. No matter how large or small your office is, you’ll find something to add some flair to your space. Want to merge classic and modern technology together on your desk? Try a USB typewriter. You can have ready-to-order ones made for your iPad, tablet, or monitor, or buy a conversion kit to convert a typewriter that you own to connect with your USB devices. Add some life to your desk without leaving your office. 1-800-Flowers has a variety of plants you can choose from beyond flowers to adorn your desk. These include bonsais, bamboo, orchids, peace plants, and succulents. Does your boss mind if you have pets? If not, a fish might be a good addition to your desk. You can get a small aquarium and supplies for a betta fish that sits on your desk during the workweek and travels home with you on the weekends. By adding some personality and fun on, in, and around your desk, you’ll create an environment that you love coming to work in and that your colleagues will not be able to resist visiting. Be sure to add one of these or other fun office items to your space today. Once your desk is accessorized, what about your internet browser?